Seren is an 8m long 40 year old Trentcraft canal/river cruiser. 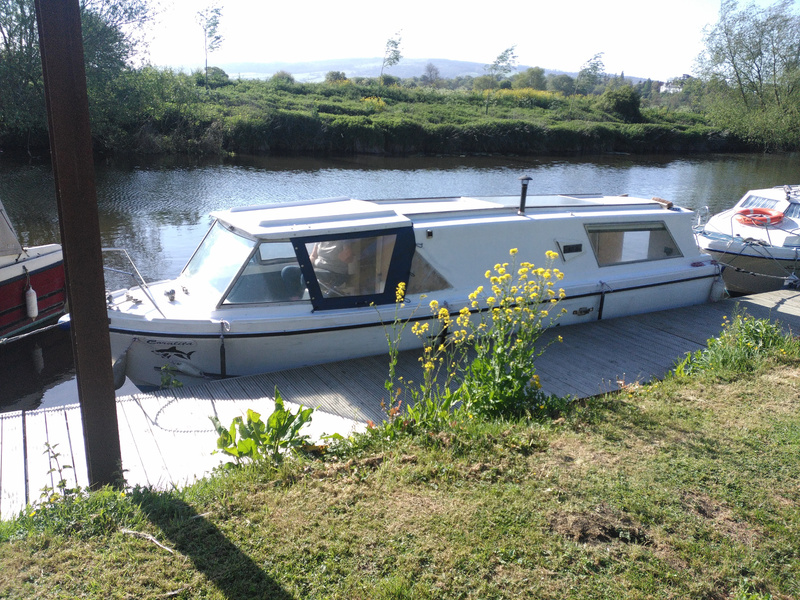 We bought Coralita as she then was in Pershore about a year ago and brought her back to Great Ouse. She wasn’t in great condition and the previous owner had tried to change the layout then given up and tried to re-instate the original plan so he could off-load it and buy something better. But we bought it anyway because DIY work is nearly as much fun as cruising and it was the best thing we could afford. 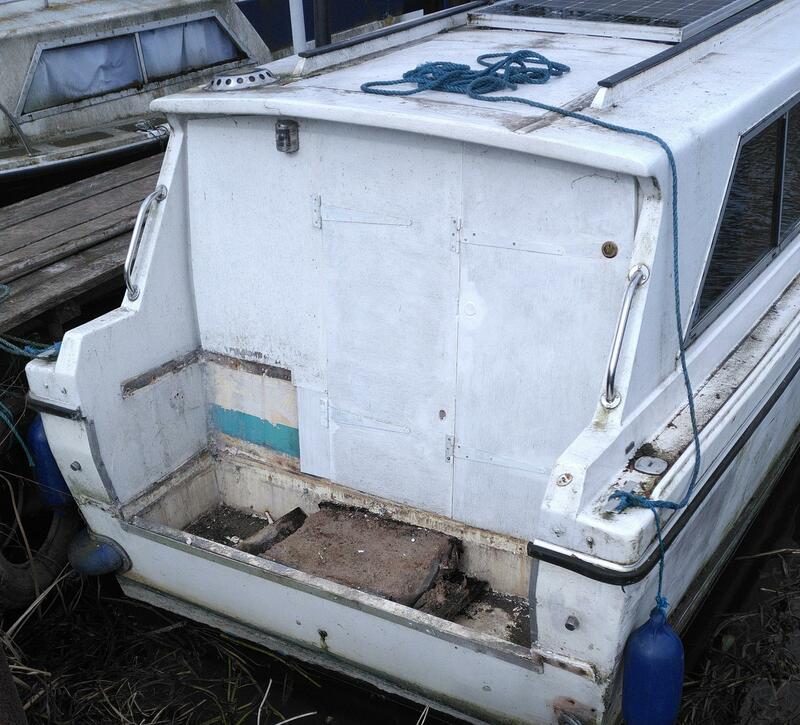 I’ve done some DIY this spring but avoided the boat owner trap of completely gutting the interior and having an unusuable boat that takes so long to fix one runs out of time/money/energy. 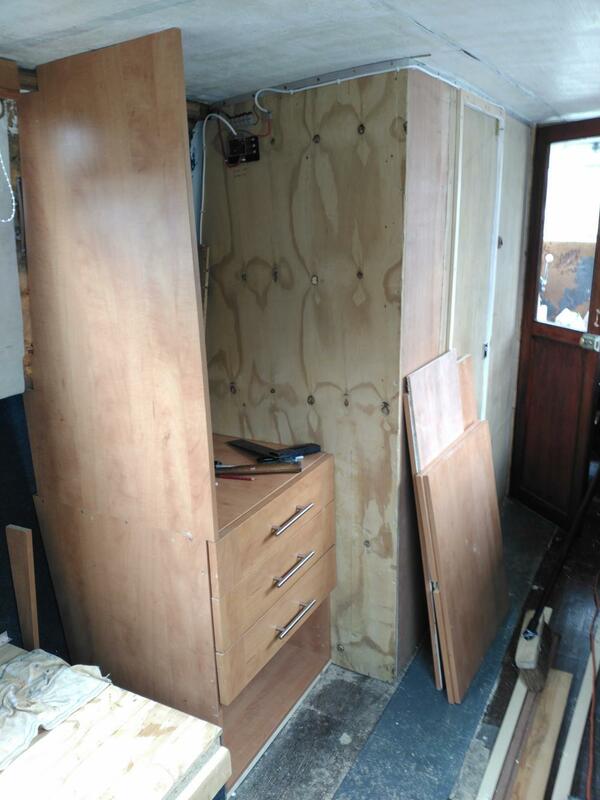 One of the bodges performed by a previous owner was to remove a window (with a jigsaw, roughly) and fill the gap with plywood and car body filler in order to make a private WC cubicle. I’ve replaced the bodge with a GRP panel and extended the compartment to make room for a shower and washbasin. No hot water yet, blog that when it works. I’ve moved the leisure battery to make it easier to connect to the engine charging system so now both batteries are charged by the engine when the boat is in use, and kept charged by the solar panel when not in use. Put a fridge and an inverter to power it in the galley too, though long term that’s all going to get re-done. So it’s nearly ready to go. The Crick Boat Show is held over the May Bank hols(26-28th May) but Crick is a long way from Tempsford Bridge by water so I plan to set off on Tuesday 15th. I also plan to blog the trip but you’ll have to wait and see how that goes. Insanely gratifying to see a favourable review of my garden projects book! Just signed another book contract, this time with The Good Life Press for a book about building and gardening in discouraging circumstances. Like steep hills, no usable soil, too much rock, no workshop and not a lot of cash. Tommy Walsh I’m not! Provisional title is “Build It with Wood, Brick and Stone” but suggestions welcome. The Home Plumbing book is due out in 4 days, this time I took most of the photos and drew the illustrations too. Linux and free software types will be pleased to hear it was written in OpenOffice, the photos were prepared using Gimp and the illustrations drawn in Inkscape. My DIY Wiring book has been published. It’s not actually available anywhere yet since the books are in a container somewhere between Thailand and the UK, but advance copies have made it by air, it looks good and more importantly I’ve been paid! I’ve just finished writing a DIY Plumbing book for the same publisher GMC I did the photos and drawings for that too so it has taken over my life for the last few weeks. Now I’m back to Biofuels International, computers and negotiating some corporate work.